Backbreaker, the long-awaited football game from NaturalMotion, is almost here. Set for release on June 1st, it's promising a completely physics-based game experience unlike anything you've ever seen before in a football videogame. 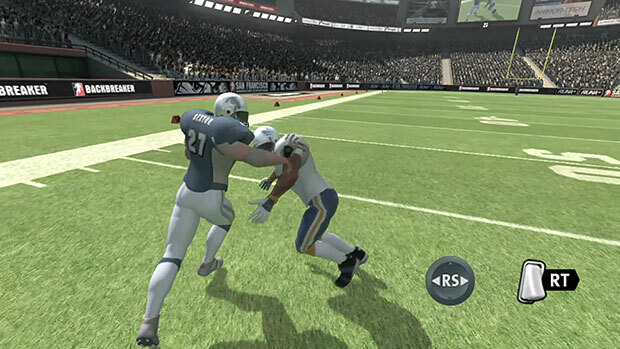 It also has an accessible control scheme that most longtime football gamers won't be familiar with, so NaturalMotion has put out this tutorial for the running game in Backbreaker. Basically, the right stick will control your "agile" special moves -- like juking and hurdling -- and once you engage the right trigger, the right stick will perform "aggressive" moves such as stiff-arming and trucking. For more details, check out the video above! I often see folks complain about complicated controls in Madden -- might this easy-to-understand control scheme be up your alley?